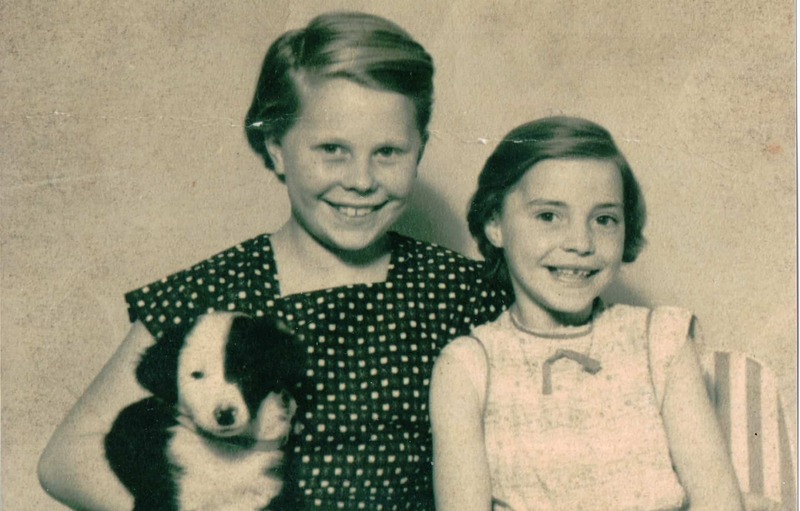 Jackie (right) and her sister Linda in Ostend in 1960. 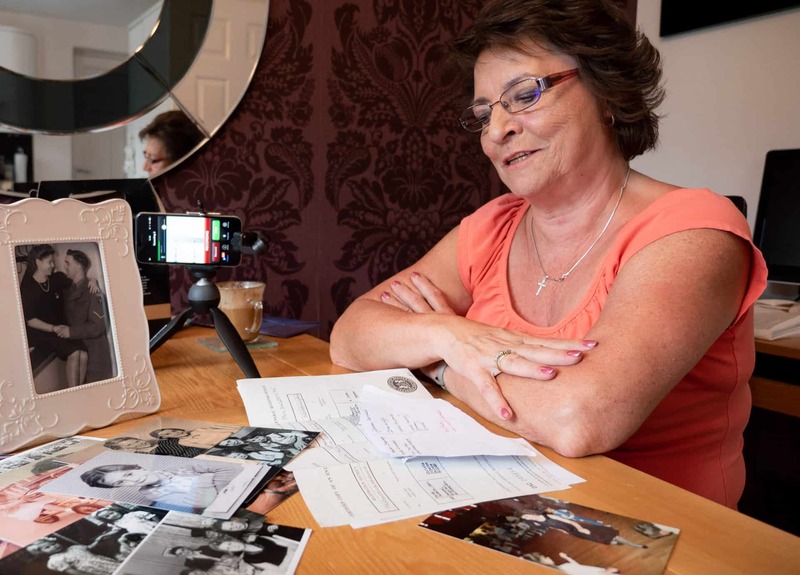 Extracts of a recorded conversation with Jackie Garbett who shares some of her personal stories and photographs around growing up and living in the Black Country. My mother came from Germany and as I understand it, in the mountains in Braunlage Area of the Harz Mountains. That's where my dad met my mum right after the war when he was there on National Service. My mum’s family had moved from East to West Germany after the war, they had a farm there that was confiscated by the Russians. Apparently, this was a tradition in the family that the farm was passed down to the eldest daughter which would have been my mother and then my Sister Linda I can always remember - the house reminded me of these Austrian Chalets with the balconies going round. She had a photo of the house and I can remember when we used to go there, you've got the river running through at the bottom of the hill and it was a lovely, lovely place to live. 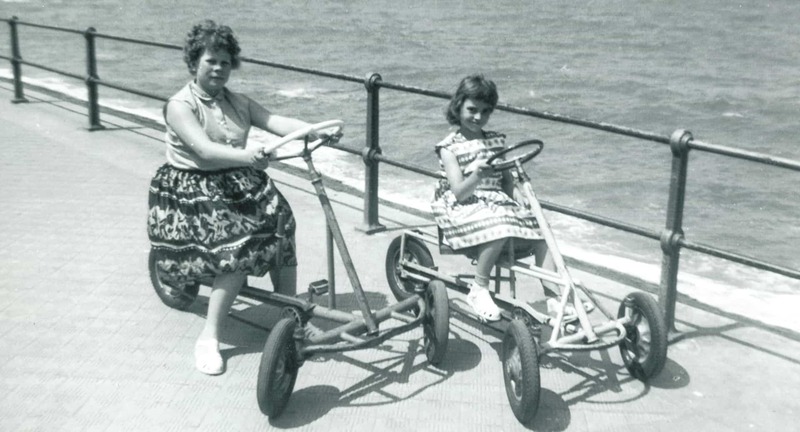 But my grandparents were very strict, on both sides of the family. I can remember my mum and my nan, they'd be pickling food in the garage. I suppose that's where the Gherkins & Sauerkraut came from. I can always remember there was always some cheese on the dining table, the cheese we would have after we'd had our main meal had a lid on it and the minute you took the lid off that cheese, it smelt horrendous. We used to call it 'Stinky Kaser' and we'd get the titters over it. We'd be sat there waiting for grandpapa to take the lid off, and then we'd just start laughing and if we'd got too giggly, he'd separate us and one would be put in one room, and the other in the other room. But it was beautiful cheese and I can remember once in Birmingham, many years later, I was in John Lewis downstairs and they'd got a cheese counter and I could smell the cheese somewhere on that counter. I was walking round until I could pinpoint it and then I asked the woman to let me smell that cheese and then I found the cheese and I bought some cheese. I was looking forward to it with the rye bread, getting home and everything. The smell of the cheese was horrendous so we went and bought a little bin with a lid on that you could just clip the sides up and it was like airtight and had to carry it home in that, because the smell was so horrendous. I was banned from eating it in the house, I had to go in the garden, the smell was terrible but yummy it tasted so nice, plenty of mouthwash after that. This was when I was married, that would be round about 1971, but I still love that cheese. I can't find it now, I've gone in John Lewis, I've gone in Selfridges and all various places and I can't smell that cheese but if I did smell it, I'd know it straight away. But there were many lovely memories of Germany. It was lovely. But it wasn't a lovely life for my mum when she came here. 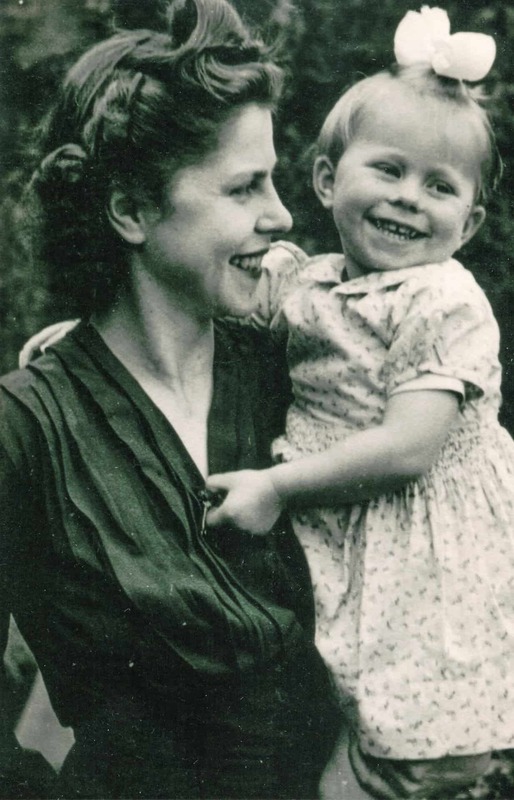 There was a lot of victimisation because of the fact that she was German, it was just after the war. People didn't really want to mix with her and yet if anybody knocked on her door she'd give them her last pennies. 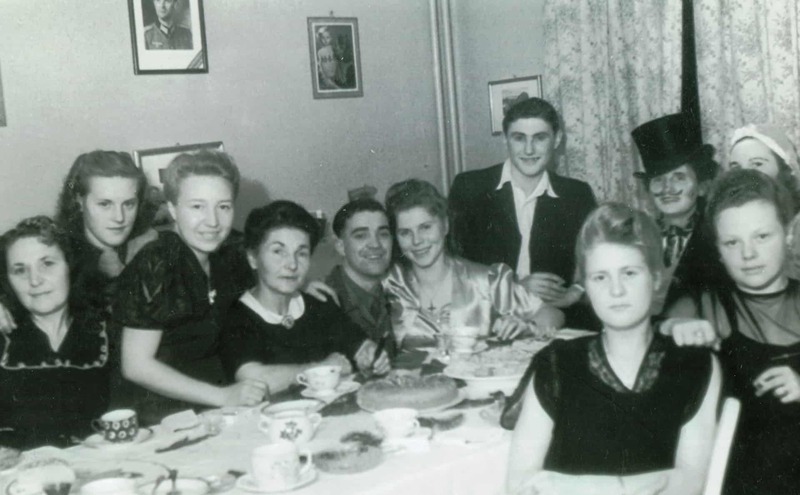 Jackie's dad and mum (centre) at the family home in Germany. "That's got to be their wedding day, in Germany. I think my dad was in Germany for two years. I think he stayed in Germany because he fell in love with my mum." 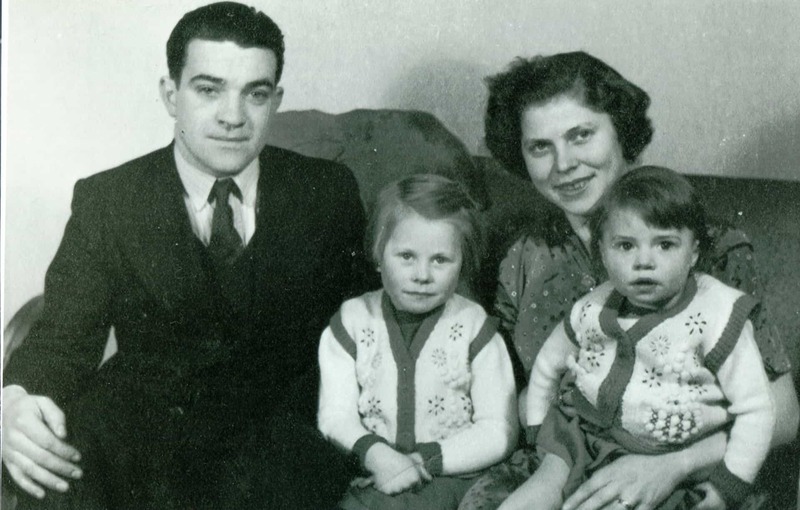 Mum, dad and my sister Linda came over here in 1949-50, not that long after the war. 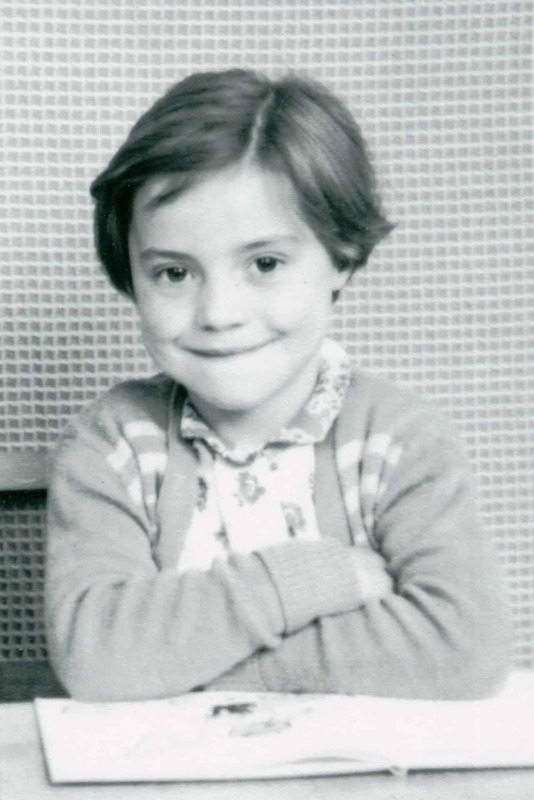 I was born 5th April, 1951. Dad brought her back over and it was a shock to the family because during the war my uncle had been captured as a prisoner of war somehow he managed to escape. He’d escaped and the story was that my nan and grandad always went on Saturday night to the pictures - I think it was the Palace Picture house in West Brom - and they made an announcement that someone in the audience was in for a big surprise as a soldier had escaped and made it home and Uncle Don came on stage. 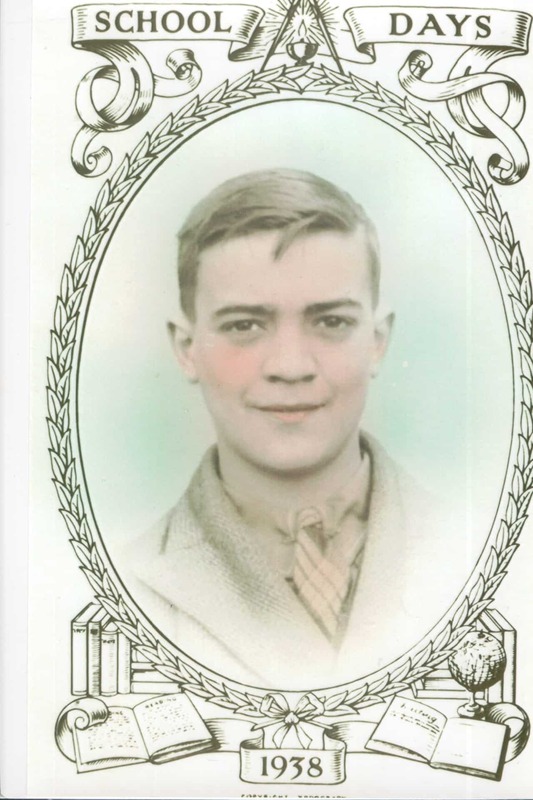 He'd made it all the way back and then after he'd reported back to the unit and that, they allowed him special leave and he surprised my nan and granddad. So you can imagine how they would have felt when my Dad turns up on the doorstep with a German woman that he'd married, and he married her in Germany as I understand it, without telling anybody. There was a lot of victimisation. 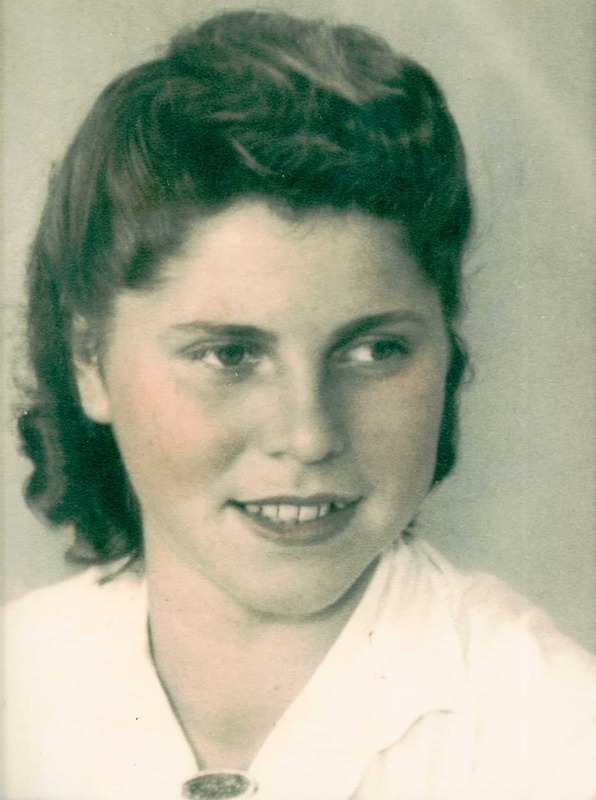 She was left really in a situation where people didn't want to speak to her, people didn't want to speak to me or my sister, we were German you know. She was more accepted as time went on but I can imagine what it must have felt like when she first came to England because first of all there was the shock to my grandparents that dad had married my mum. But it wasn't like a normal family and it was just good that they were so much in love ‘cos otherwise it would have been a horrible life for her. People would just either ignore her or refer to her as ‘a German’. She was an interpreter, she spoke quite a few languages. They came from a good background. My grandad was the equivalent of a baron, I don't know what you'd call it in Germany but he was the equivalent of a baron, so they came from a good background. Then they escaped from the East to the West, lost quite a bit but they made a good home in Germany. I loved my mum and dad to pieces. My mum was very loving, she'd do anything for anybody, she was just a totally wonderful woman, I know everybody says their mum’s a wonderful woman, but she played the piano, she played the accordion, she'd have parties and invite people round to the parties hoping they would see the real woman, so people would come because they'd always get a drink. I can remember one Christmas, I was about four and I was allowed to stay up and I fell asleep by the grate of the fire ‘cos I was having such a good time with mum playing the piano and singing. Her full name was Crystal Helena Von Sperl. 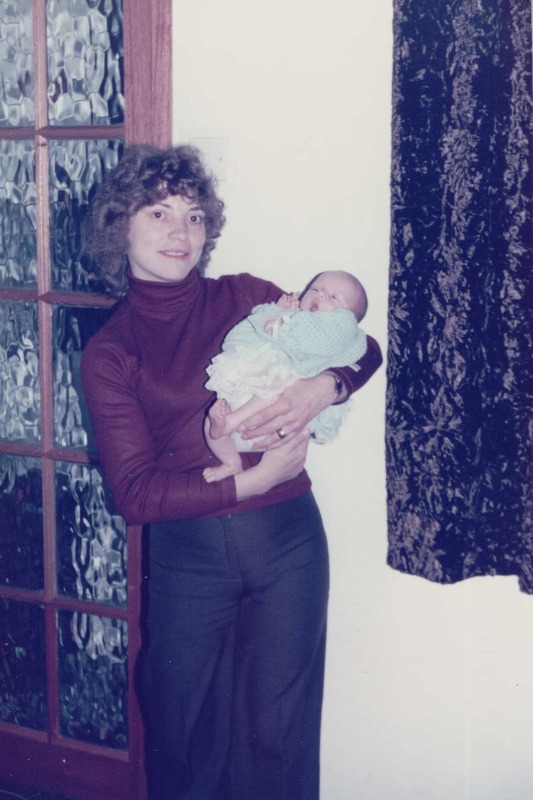 I think when people got to know my mum, people really got to like her. She did a lot of translation, I can remember once seeing her on the telly translating for someone. And my dad, George Henry Duncan Holden, he was a good hard working man. He had to work away from home, he was a boiler engineer. In them days you didn't have cars, you didn't have phones, so he'd go away on a Monday and we'd see him on a Friday. The distance started to cause a few problems within the relationship and I was five when they separated. And I shall never forget that separation. Things changed, whether it was the pressure of the years of victimisation, or she just wanted to live a different life because she'd got quite poor health. When mum left we went and lived with my Dad's parents. We would have loved to have stayed with dad but lived at my grandparent's house because he had to work away during the week. We had moved from Guns Lane to Brandon Close, West Bromwich. It was a new council house with an indoor toilet and bathroom - it was luxury. In my grandparent's house, they still had an outside brewhouse down the back garden the toilets. It was used as the wash room but originally it was a brewhouse because in the 1800 people used to make beer many years ago because the water wasn't pure in those days. I can always remember my grandma - Monday was wash day and the boiler would be lit-up and the water would be in and you could smell the cleanness of the clothes boiling in the soap suds. It was not the soap suds as we know them today, they were like flakes or the hard soap. Then there was the dolly, the scrubboard, and the mangle. Sometimes I'd have the mangle job which I preferred to having rather than having the scrub board. "This is one of me and my sister, with my gappy teeth, there I've got my smile on." 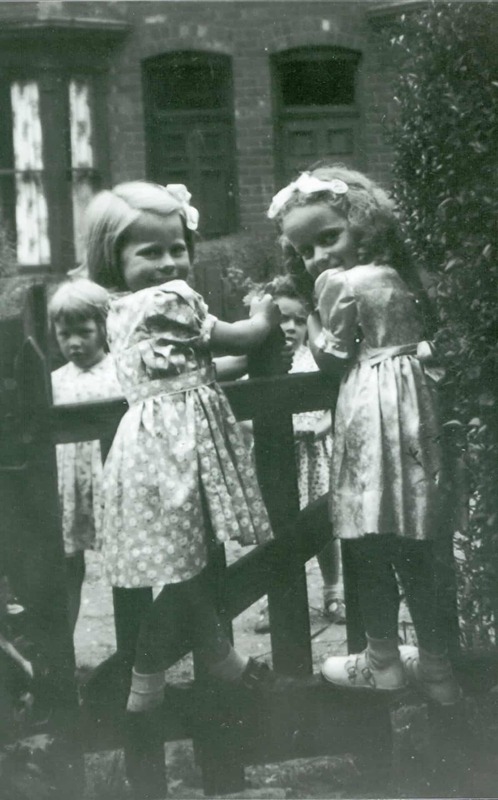 Jackie's sister Linda (left) on the gate with friends about 1951. We were brought up to understand that no matter how old you are, you're not too young to do a job. There was no real entertainment in those days, there was no television like there is today, the only thing we could have would be the radio which my grandad was very strict on, it could only be turned on when he came home of a night. When he got in from work he'd always feel-up the valves to make sure they were not warm and that grandma hadn't put it on during the day to pacify us, because grandad was very Edwardian in his ways, very strict. I loved them to pieces. I know they were strict and I know I had the strap sometimes. They had got the strap down the side of the fireplace and you'd be told once, twice, and the third time you would get it. But I loved both of them, they were really nice people. In those days little children were to be seen and not heard, they were brought up to respect the establishment i.e. teachers, police, hospital staff and your family even neighbours. The occasional smack would remind you to show respect. Mum lived in Birmingham in a flat and it was our option at weekends. We could go and stay with dad or we could go and stay with mum. My dad stayed in Brandon Close in West Bromwich. Yes then there were three places that I could live at. I used to go to mum's at weekends and she would meet me in Birmingham. I'd go on the bus from Dartmouth Square and my grandparents would see me off on the bus and if Linda was coming, we'd go together but mum always met us off the bus and we'd go to, I'm sure it was called the Cardroma, opposite Snow Hill Station, it used to be on the corner of the Arcadian and we'd go there and we'd have a coffee and be treated to a cake. Sometimes we'd go back to her flat or sometimes we'd go round the shops and then back to where she lived. I don't know where exactly she lived in Birmingham but it wasn't too far out from the centre. It was only a short bus ride and we'd spend the weekend there. I always remember her cooking as well, used to have the sausages. She did as much German food as she could get the ingredients for which really wasn't that much. But she used to go to John Lewis 'cos they had a section where they did specialise in certain delicatessen foods. She died in a car accident in Northampton on 10 January 1960 when I was eight. It totally changed my life really. I can remember my dad coming and telling us that we'd lost mum. I was told I couldn't go to the funeral as I was too young. 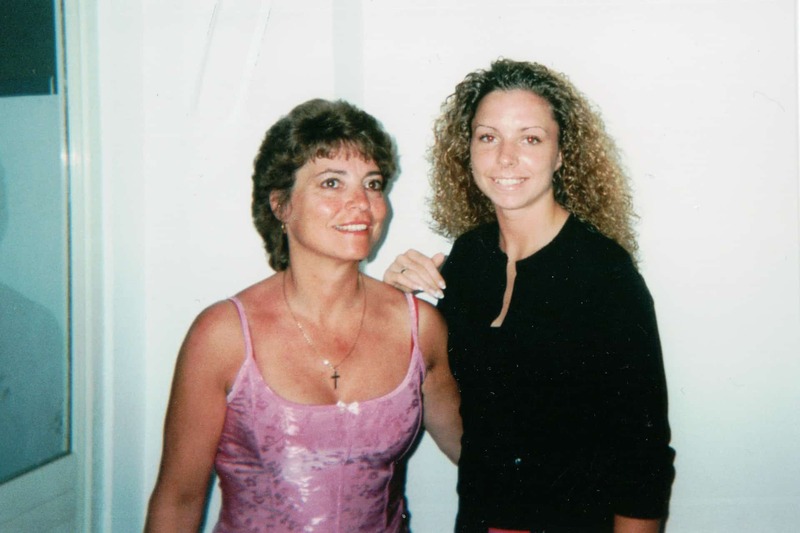 And I keep saying it, but she was a beautiful woman and a caring mum and she got killed in a car accident. In fact, it may have been a blessing for her to have been killed in the car accident because she'd got an in-growing goiter which she'd had surgery on for many years, so it was constantly pressing on her windpipe and her voice-box. She had to have it removed constantly and then they said ‘no more surgery’. So there would have come a point that mum would have had that goiter pressing down and eventually she would have died from that. I think that deep down, that gave my mum the kick up the backside to make life a bit more enjoyable, rather than sit and wait all week for her husband to come back and having to look after two children and living on a new estate. Even then in 1960s there was still some dislike of the fact that she was German. 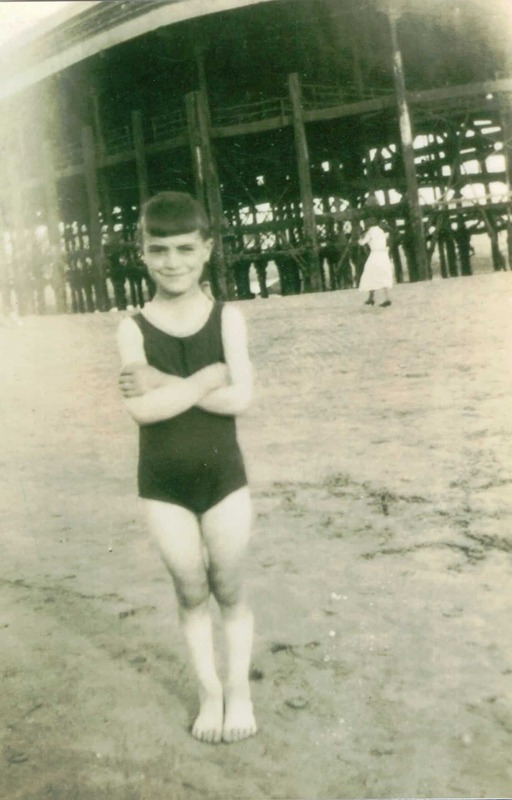 Jackie's dad George in Blackpool in the early 1930s. Here he is wearing a hand-knitted bathing costume. "At school, being good in the class, that was a school photo. Yes, you've got to be good in the class and that's my cheeky look there." I can remember being really upset when I was told. 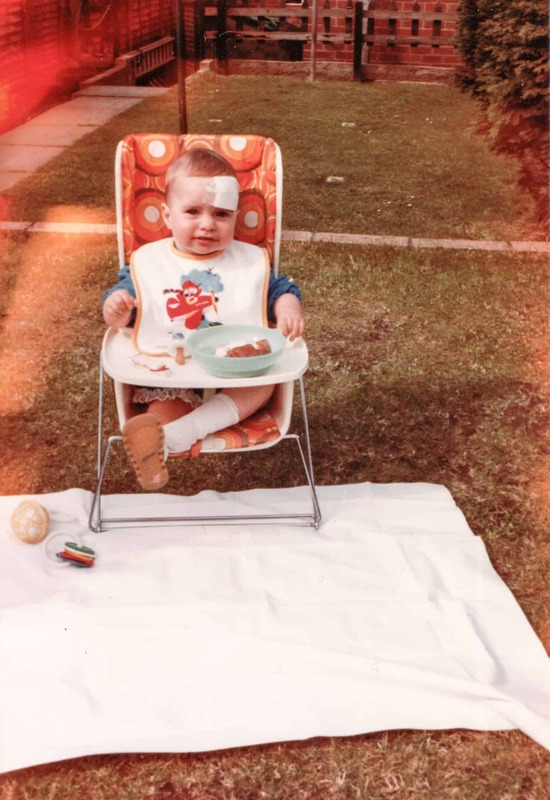 There were times I would cry and in fairness to nan and granddad, if I did cry there, they didn't say to me 'stop being silly' or anything - they would let you cry about it. But there was nobody I could really talk to Linda was going through the same feelings as me. I hadn't really got a proper friend at school and I just felt I couldn't talk about it - it's something I'd got to learn to live with - at least I'd got my dad who I would eventually get home to. This happened when I was nearly 12 when he got married again. This was the year my mum died - 1960. 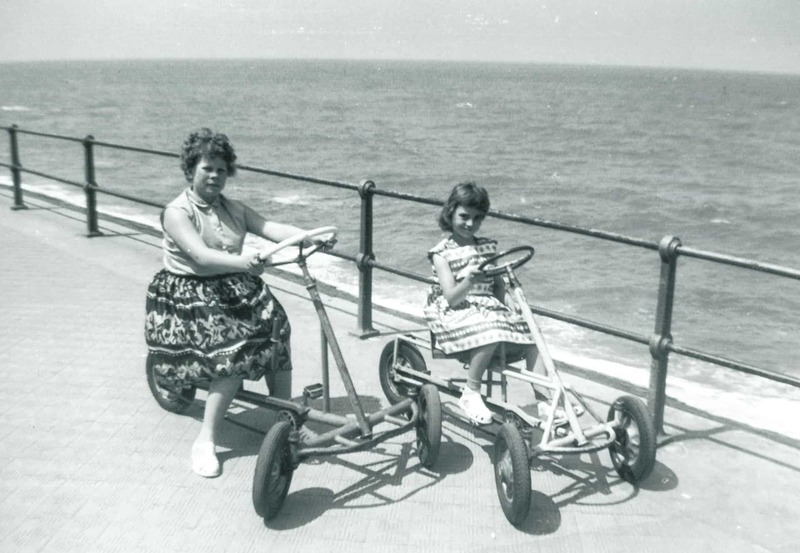 My nan and grandad took us to Ostend for a holiday. Because I can speak English, not perfect English, but Black Country English, people don't realise I'm German or at least part-German. So sometimes you hear people go on about the Germans and I get a bus now, sitting there and letting people say whatever they want to say about the Germans and then I turn round and say ‘yes I'm part-German’. It does shock ‘em and it makes them think of what they've just said as well. Before, I would not admit to being German. If I was in an environment where people had spoken about the Germans or said something nasty I would not admit that I'd got German blood in me. As I got older I just thought - "well, you know, I am part-German. I've got nothing to be ashamed of". 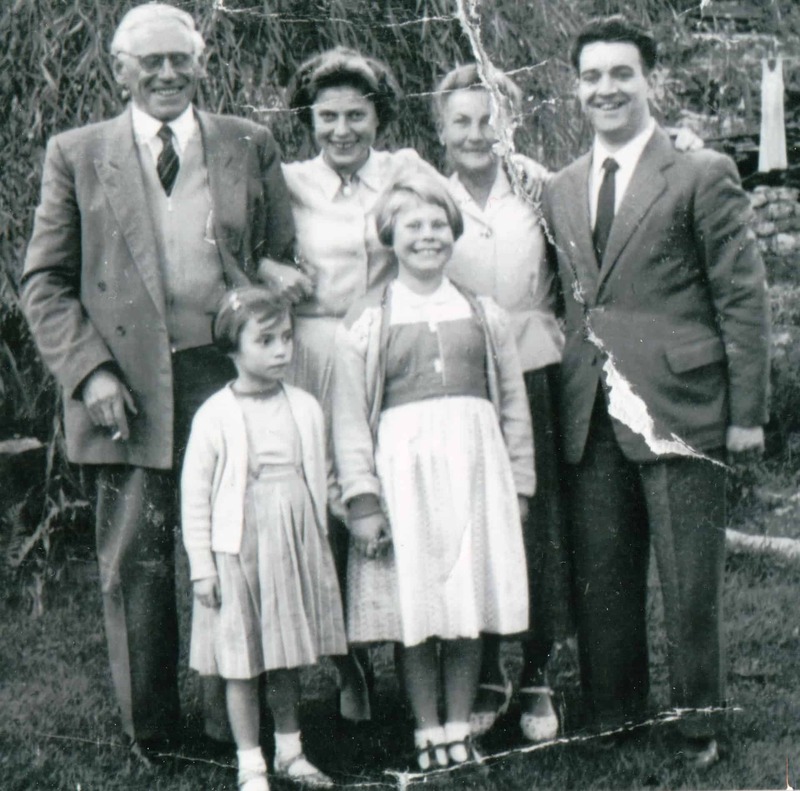 Back then we spoke German to mum and we spoke English to dad and we carried on doing that to the point where mum left and then when we went to live with our grandparents. Then we were told - "no German". It sounds silly but you do forget some of the German. I can speak the odd word, and I can understand the odd word but I couldn't be fluent in German. I can remember my mum, she'd speak to me in German. She’d always used to call me her leibchen. Well now I've got friends of every nationality, I've worked with people of various nationalities and I don't object to people coming into the country. What I do object to though is if people come into the country and commit a crime, a violent crime and we continue to have to look after them in prison. That's what I object to. Nowadays you've got this mix in every community. 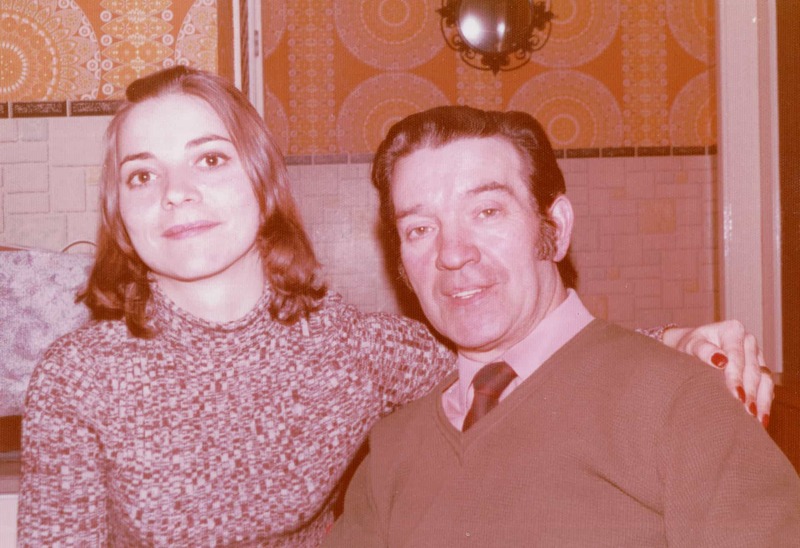 Jackie with her dad in 1978. 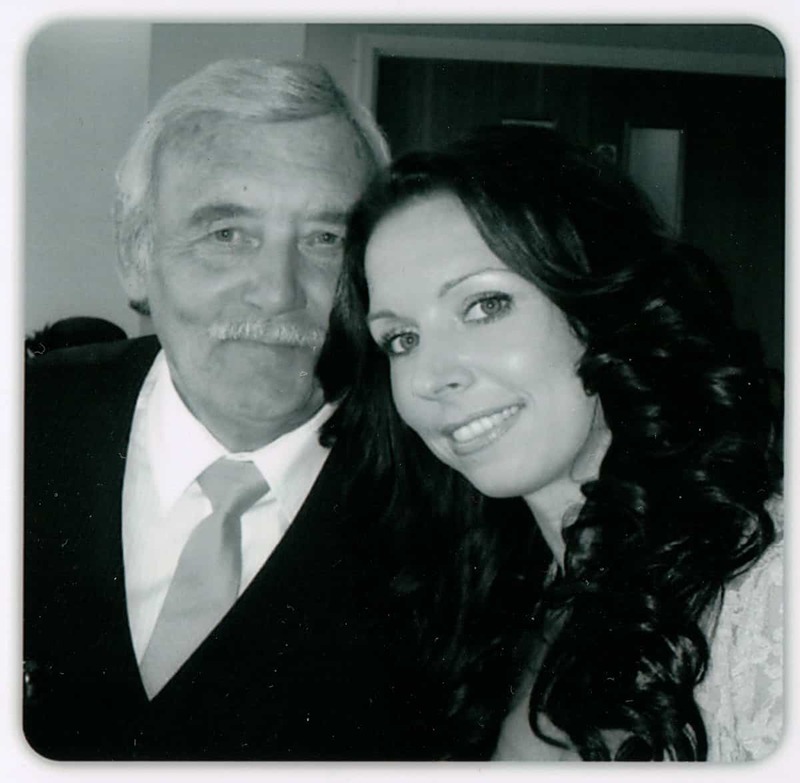 This photo was taken just before my dad died, he was very poorly just before then and he died of a heart attack. I used to go and see them every Wednesday and that was because when I used to do my dancing, Wednesday was my only night off. This was when I used to do the go-go dancing, from 1966 until I got married in 1970. But he was my rock, my dad, I knew the ground rules with my dad, it was the same as with my grandad, three strikes and you're out so I never got to three with him, always stopped at two. I just idolised him, he was my world but I didn't really get on with my step-mum. My dad died in December 1978. Me and her dad split up in 1991, unfortunately, we lost her dad, so I suppose I felt bad in respect of her not having a father figure in her life until George came along. My gorgeous George, he was older than me but he was perfect. He respected me and he showed me a lot of love and kindness and she looked at him like a father figure. She'd tell him things that she wouldn't tell me. I suppose that's a good connection really ‘cos it shows that you chose somebody in your life that is genuinely liked by your daughter and is right for you. She's just so precious to me but she's rewarded me back in everything she's done and achieved I am so proud of her. Looking back, I think some families, especially the generation of today, they seem to not have the respect for one another, not have respect for the children, they shout at them, they swear at them. I just think you should value your family, they're very, very precious. Your family is the most important thing and I just wish I wasn't robbed at the beginning of my family, losing mum so early. It's hard, if you want to bring a child up as a single parent it is very hard, especially if you want to get a career in life and to be secure in life because sometimes you have to be strict with them, sometimes you have to go without yourself, for them to achieve what you want them to achieve. I just would say cherish every moment with your family, they are precious, they are the most important thing in life and if you've got family, you've got a good life if you want it to be. And I'm so proud I've got my daughter and that keeps me going. She's my breath.